Brazilian star Neymar will extend his contract with Barcelona in the coming days, club president Josep Maria Bartomeu insisted Thursday amid rumours over his possible transfer to another team. “In the coming days we will confirm the renewing of Neymar’s contract for the next five years,” Bartomeu said. Neymar, who joined Barcelona in 2013 from Brazil’s Santos in a deal which has haunted all concerned because of alleged hidden payments, is under contract until 2018. But the 24-year-old prolific Brazil striker has also played brilliantly for the Catalan club as part of a much feared attacking trident alongside Lionel Messi and Luis Suarez. Speculation has mounted, however, around whether or not the slender forward would extend his stay or make another lucrative move, with Paris Saint-Germain, Real Madrid, Manchester United and Manchester City named among possible interested clubs. “I read that there are many clubs interested in Neymar. 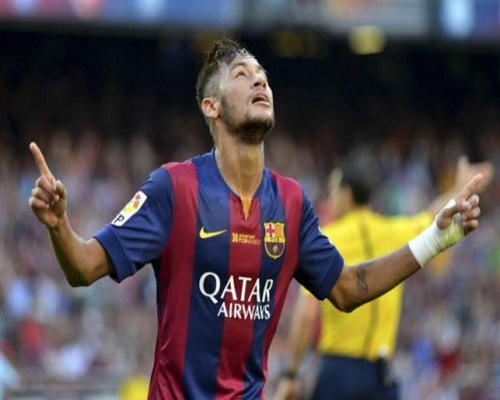 It’s normal they are but Neymar has never said he wants to leave Barca, just the opposite,” Bartomeu said.